Last weekend we went to Sedona to attend a wedding of some friends. It was a fun weekend in a beautiful city. I wanted to share some of the pictures from the wedding day. 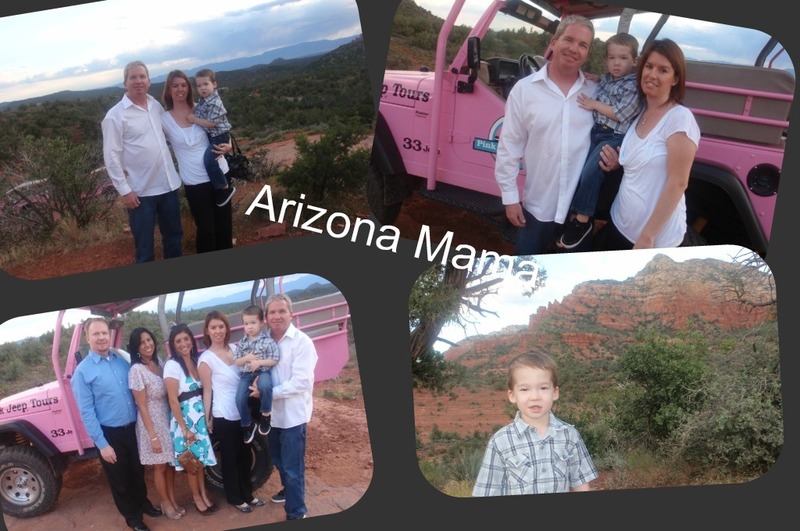 We took the Pink Jeep Tours up the mountain side. 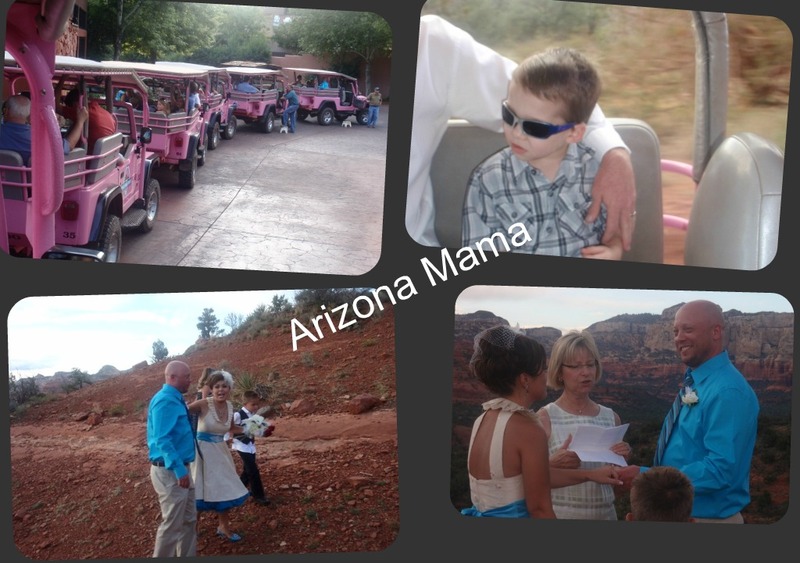 We then got out and Brian and Jen were married on a mountain cliff overlooking the beautiful red mountains of Sedona. We then took the Jeeps back to the hotel for dinner. It was a small relaxing wedding. The surroundings were so beautiful. As you can see by all the pictures below we had a great time! Congrats to Jen & Brian on their new life together as a married couple!! What a beautiful place for a wedding. You guys looked good in front of that Pink Jeep....you should consider painting your car that color...lol. 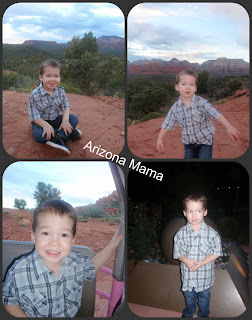 looks like you had a fun time in Sedona! Gorgeous! I cant wait to go! Oh man, you guys are such an adorable family, and Jayden just keeps getting cuter and cuter! !